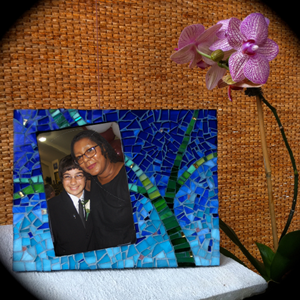 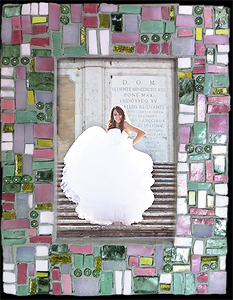 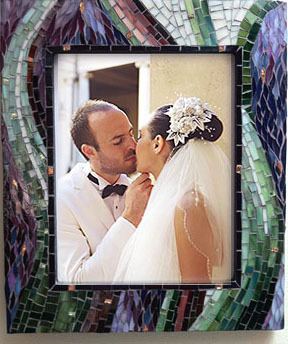 An original artisan mosaic frame, inspired by your wedding theme and colors, will create a memorable one of a kind keepsake to be cherished forever. 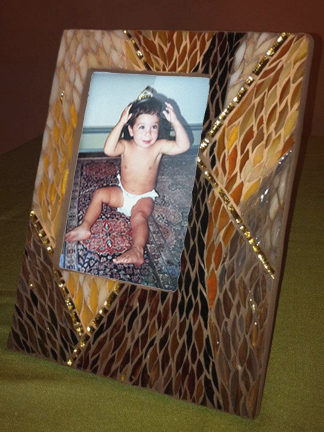 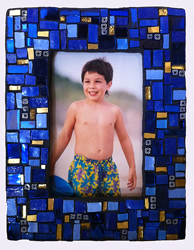 Place baby's first photo or a special remembrance in an original mosaic designed with your own personal colors and style in mind. 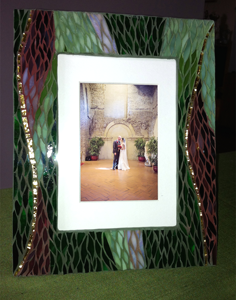 Some of the frames displayed are available - please contact for pricing. 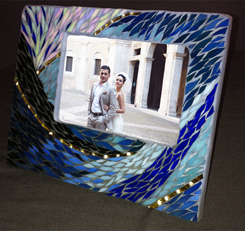 Allow 2 weeks for a custom order. 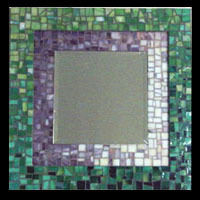 Frame pricing ranges depending upon complexity, cut technique and materials- however they are generally in the 150-250 dollar range. 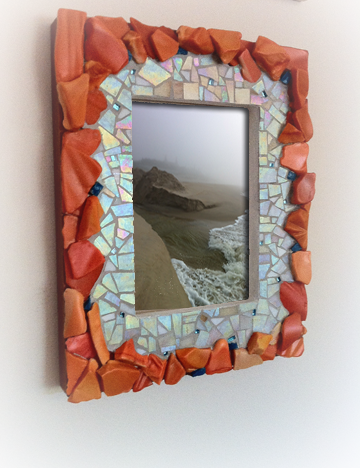 Frame bases can be ordered which are composed of 99% recycled materials. 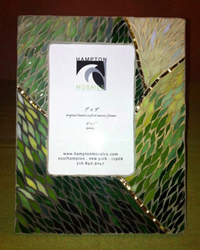 All works are signed and dated, with a certificate of authenticity. 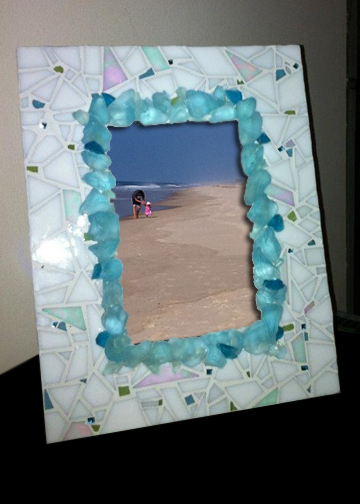 E-mail for details on a specific request.